The Aussie Pooch Mobile family is a diverse group of people with a common love for dogs. We have put together a talented support team who are dedicated to helping others in the system achieve their own business growth and success. 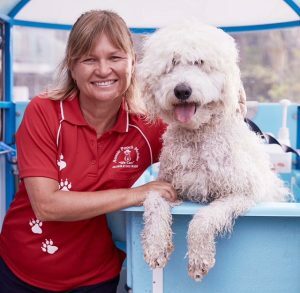 Christine Taylor has lived and breathed all things Aussie Pooch Mobile since the young age of 16 when she first had a vision for her business. Chris works tirelessly on developing the brand and along the way has been recognised for her dedication and success with various awards such as 1994 Young Achiever of the Year, 1996 QLD Telstra Businesswoman of the Year, 2005 Australian Woman in Franchising, 2012 induction into the Franchising Hall of Fame and her 2016 Induction into the Businesswomen’s Hall of Fame. "To be successful first you have to fall in love with what you do". Christine is still very active in the ongoing growth of the business, its support team and the family of franchisee's and employees. "I am dedicated to the success of others, empowering them through the sharing of knowledge, support and skills, so they can build a profitable business in our joint passion, for the care of dogs. 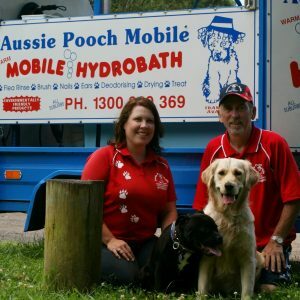 Let me introduce you to some of our team"
After a 20 year career in the sporting and fitness industry, Paul and his wife Megan, commenced as Aussie Pooch Mobile Franchisees in 2008. Together they have won various awards over the years, National & Regional Franchisees of the year, National Marketing Awards and National Community Involvement Awards. In 2015, Paul moved into his current full time role, while still continuing to run the Bribie Island (Qld) Franchise with Megan, daughter Mackenzie and beloved Kelpie - Rosie. "What I love about Aussie Pooch Mobile is the culture within the business, it makes what can be a challenging role, both fun & rewarding. Paul is an integral part of the business and his role as Operations Manager encompasses many areas within the business with a key focusing on maintaining Operator profitability & building a strong supportive team. 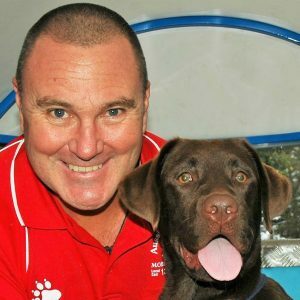 Coming from previous careers in sales and service Mark commenced his career with Aussie Pooch Mobile as a franchisee in 1993, later selling his franchise in 1995 to joining the management team and help grow the Aussie Pooch Mobile Brand interstate and internationally. 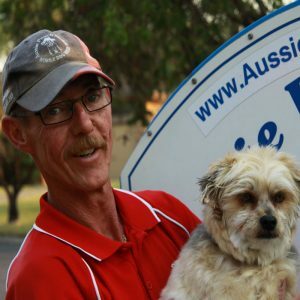 With over 24 Years in the industry, Mark knows what it takes to run a successful Aussie Pooch Mobile franchise. Mark is happy to speak with you about the opportunities available for you to join the Aussie Pooch Mobile family. 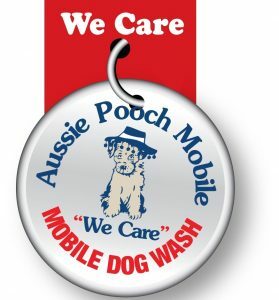 Tracy has been with Aussie Pooch Mobile since 2002. Originally starting as an Admin Assistant she has grown with the company and worn many hats over the years. Currently Tracy overseas all document control and marketing processes and is an integral part of our team. "I enjoy the culture at Aussie Pooch Mobile and it's important to me to be a part of a system that encourages personal growth both inside and outside of the workplace". Felicity is likely the first person you will meet and she brings a warmth into our office with her welcoming smile. A varied role, Flick enjoys the challenge of supporting the franchisee's & their managers while ensuring the office runs like clockwork. "It's a privilege to be able to assist our operators in reaching their milestones and achieving their goals". 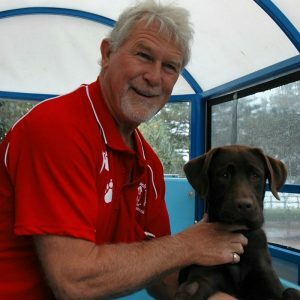 David is an invaluable member that has been here from the inception of Aussie Pooch Mobile. As Chris's husband he too shares in her passion and works behind the scene ensuring the business systems are running smoothly. With a qualification in business management and quality assurance his skills & experience adds to the overall success of the business. 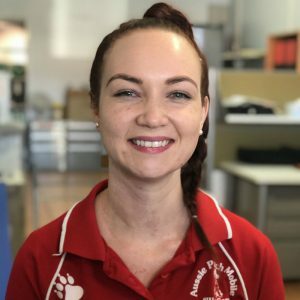 "The Aussie Pooch Mobile franchise systems provides a small business opportunity for the dog lover, with the backing of a strong brand"
Brooke has been with Aussie Pooch Mobile for the past 3 years working in the marketing department. 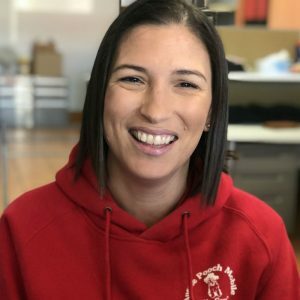 Being the daughter of Chris and David, Brooke has a vast knowledge of the Aussie Pooch Mobile franchise system and more importantly a very clear understanding of Chris's vision for the company. "What I love about working for Aussie Pooch Mobile is that my work revolves around the care of Dogs & Puppies. One of my own personal true loves"! Katrina has been with the company on and off for over 20 years. initially as Support Office Personnel working her way through many roles including Office Manager, Franchise Area Development Manager and most recently assisting in the design and upgrade of our web presence to better align with our brand & business goals. "The company, its franchisee's and the customers all have the same values as I do, respect, integrity and devotion. 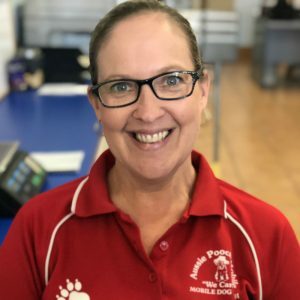 Working for Aussie Pooch Mobile has helped mould me into the person I am today and I am grateful to have been able to grow with company both personally and professionally"
Karen has been a vital part of the Aussie Pooch Mobile family since 1998. Over the past 20 years Karen has been a wonderful support to many franchisees including her husband Mick who also washes and cares for dog. 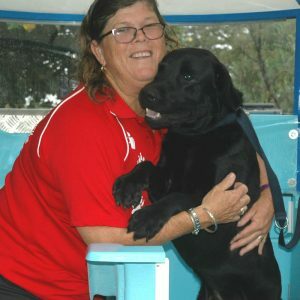 Her love for dogs and the community has also extended to endless fundraising over the years which has contributed to over $60,000 being raised for Empower Assistance Dogs. "It is a privilege to be able to contribute in this way and help put a smile on the faces of special children through assistance dog’s". Karen has been recognised for her efforts in fundraising and has won the Community Involvement award 3 years running - 2012, 2013 & 2014. She has also been awarded the Qld Franchisee of the year in 2012. David first joined the Aussie Pooch Mobile family back in 1999 as a Representative, 6 months on he bought a sub-franchise from the then Master Richard Elmers. When Richard took the system to the USA as The Pooch Mobile, David, not shy of a challenge, took over the Gold Coast Master Franchise. 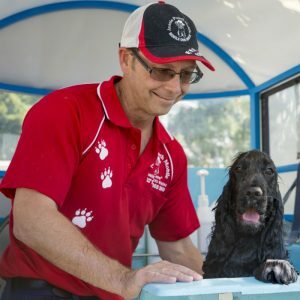 Nearly 20 years on and David still enjoys washing and grooming dogs and supporting his team of 7 operators. "For me, the best thing about being a part of the Aussie Pooch Mobile system is the confidence I have in the brand and the dedication the company has to continued development". 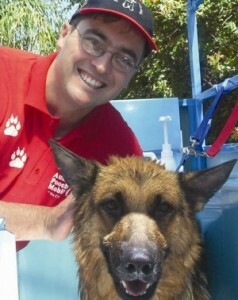 David has been awarded International Most Dog Washed multiple times as well as Qld Franchisee of the Year. Liz joined as a franchisee in 2007, after spending many years in hotel administration. 10 years down the track she went on to purchase all available territories in the Townsville area and is now a multi-unit franchisee. "I absolutely love getting out there and marketing my business. It was my biggest challenge in the beginning but has now become my greatest tool". Liz has been awarded the Facebook Marketing award in 2014, 2015 & 2016. Liz enjoys attending the annual Aussie Pooch Mobile conference, where she can meet with other operators and build on her skills and knowledge. Wade has been a franchisee in the Hills District, NSW since 2003. Coming from a corporate background, his business and communication skills along with his drive and determination has seen his business develop over the years. Forever changing, his business structure has seen multiple changes with hiring representatives, splitting & selling, acquiring more and now currently managing 3 trailers inside his territory. Acknowledged by his peers Wade has taken out numerous awards over the years such as International Franchisee of the Year 2012, NSW Franchisee of the Year 2013, Managers Team of the Year 2013 and Multi-Unit Franchisee two years running in 2014 & 2015. "Being able to communicate with and learn from other operators is what I like about this particular franchise system. Aussie Pooch Mobile is a business system that has proven itself over time". Bryan and Kate Edwards are the Master Franchise Owners for the Aussie Pooch Mobile Wollongong area. "Our experience helps us build our own business as well as those who join our awesome team. We love the challenge of helping new operators grow their own business and reaching their goals". 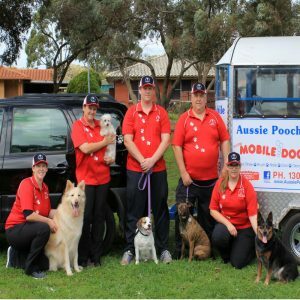 Since joining Aussie Pooch Mobile nine years ago, they have won a (highly commended) Regional Franchisee of the Year award in 2009, Muli-Unit Franchise of the Year 2013, and the Community Award in 2015. 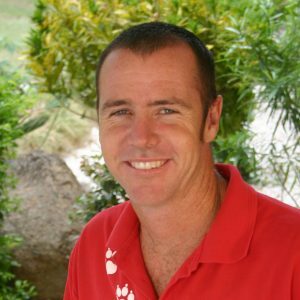 Greg Fickel - Master Franchisee Macarthur Region NSW. After a long career in State & Federal public service (27 yrs), in 2012 I started my journey with Aussie Pooch Mobile as a representative. Not shy of a challenge Greg went on to purchase the Master Franchise for Macarthur the following year, joined by his wife Julie. The business and management skills acquired in public service has made the transition to operating his own business easier. In the past 12 months, two of Greg & Julie's children have also joined the team, and today the area supports 7 operators all washing and grooming dogs. Awarded Highly Commended Representative of the Year 2013, Multiple Unit Franchisee of the Year 2017 and has just been voted as a finalist by the Campbelltown community for a 2018 Campbelltown Local Business Award. 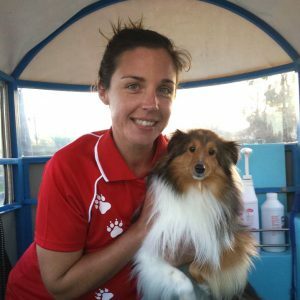 "What we like about being a part of Aussie Pooch Mobile; we enjoy the challenge of building and operating our own business within the community that we live in. The ability to support our operators whilst also having the backup and support we need from a strong brand and proven business system". Joanne together with her husband Mark are the Support Managers for the South Australian Region. Together Joanne & Mark help support a team of 15 operators which include their three children, all of whom work their own dog wash and grooming trailers. Joanne started in 2011, their daughter joined the team less than a year after. 12 months later Mark joined in the fun, quickly followed by their youngest daughter and finally their son. Joanne & Mark have been recognised for their combined and individual success and dedication over the years with numerous awards such as Representative of the year 2012, Franchise of the Year (under 12 months) 2013, Franchise of the Year 2015 & 2016, Most dogs washed SA 2016, Customer service awards 2017, Most dogs washed SA 2017 & Manager of the Year for 2017. "We love to make the dogs feel special and pampered, we love it when the fur parents see their pooch coming back from the trailer, to see how happy they are is a wonderful feeling". 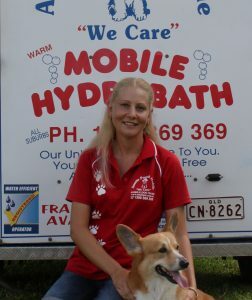 Emily has been a franchisee with Aussie Pooch Mobile since 2010. She has successfully built, split and sold 3 territories over the last 3 years while starting a family at the same time. "I love sharing my love and passion for dogs with other Franchisees and supporting them to reach their goals to where the want their business to be". A multi award winner, APM National Franchisee 2014, APM Marketing Award winner 2015 & 2017 and Franchise Council of Australia - Western Australia 2018 Franchise Woman of the Year. Emily purchased the Regional Master Franchise Western Australia in Jan 2018 and was joined by her husband Damian. Together they hope to help others create the same success they have enjoyed.